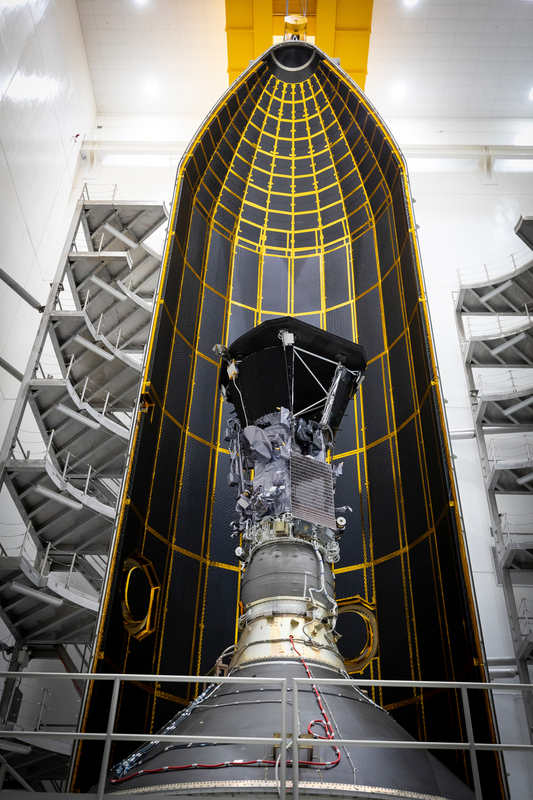 ULA and the Delta IV Heavy to Launch NASA’s Parker Solar Probe to the Sun for SCIENCE! Images and Illustrations credit & copyright: United Launch Alliance (ULA) & NASA. Launch Alert!!! 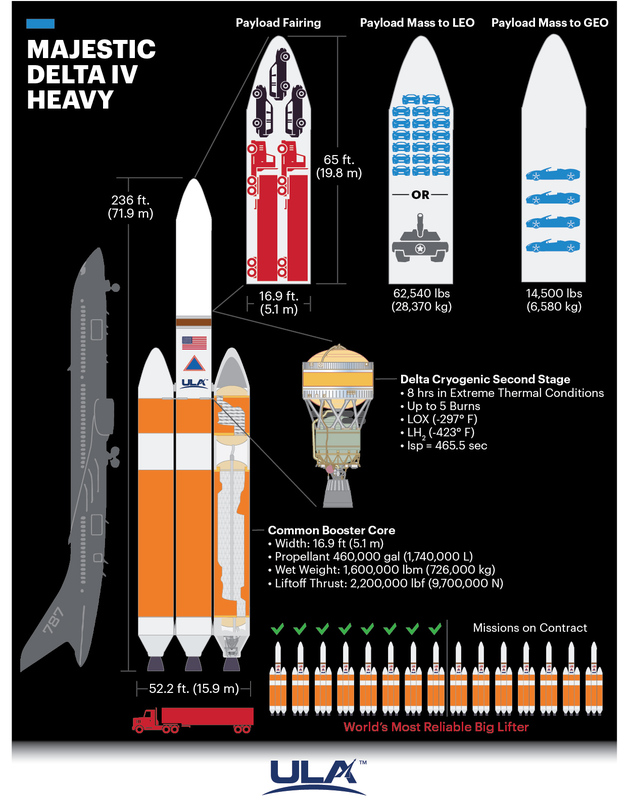 Saturday, August 11, 2018 at 03:53 EDT (00:53 PDT & 07:53 UTC) the United Launch Alliance (ULA) will be launching the beautifully powerful, heavy lift, Delta IV Heavy from Cape Canaveral’s Space Launch Complex 37B (SLC-37B or “Slick” 37B) to deliver the long awaited Parker Solar Probe (PSP) science mission to the Sun for NASA. 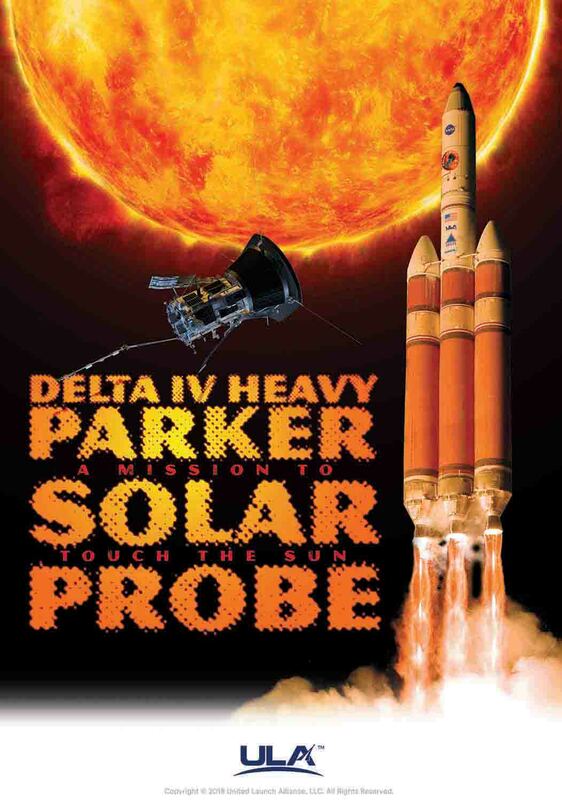 Note: This will be the 10th launch of the Delta IV Heavy and the Parker Solar Probe (full mission post to come) is the first NASA science mission to be dedicated to a living scientist (Eugene Parker). 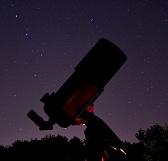 The Parker Solar Probe (PSP): This mission will ask the small Parker Solar Probe to study the Sun’s corona by coming within 4 million miles of the surface of the Sun to collect data and in the process it will become the fastest human made object ever created as it will reach a top speed of 430,000 mph. (692,018 km/h). 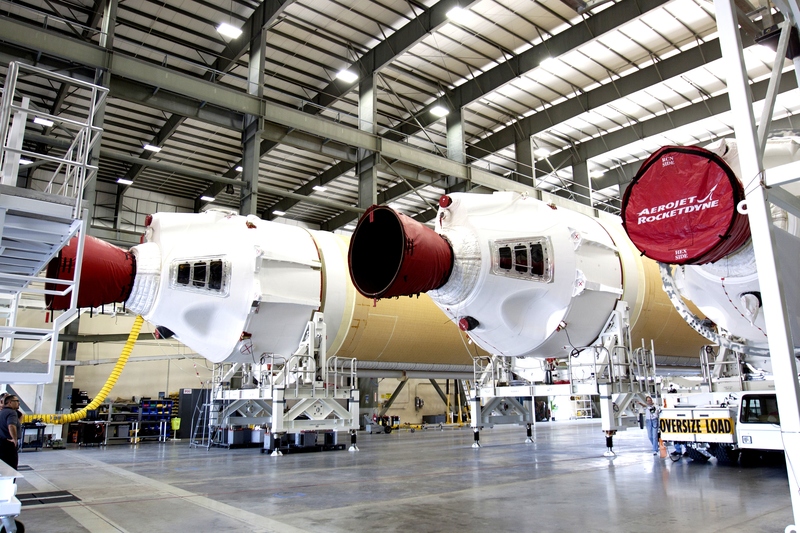 Main Composite Payload Fairing (PLF): The Delta IV Heavy main payload fairing is a 5.1 m (16.7 ft.) diameter composite bisector (two-shell) protective enclosure that protects the spacecraft from the atmospheric turbulence of ascent. 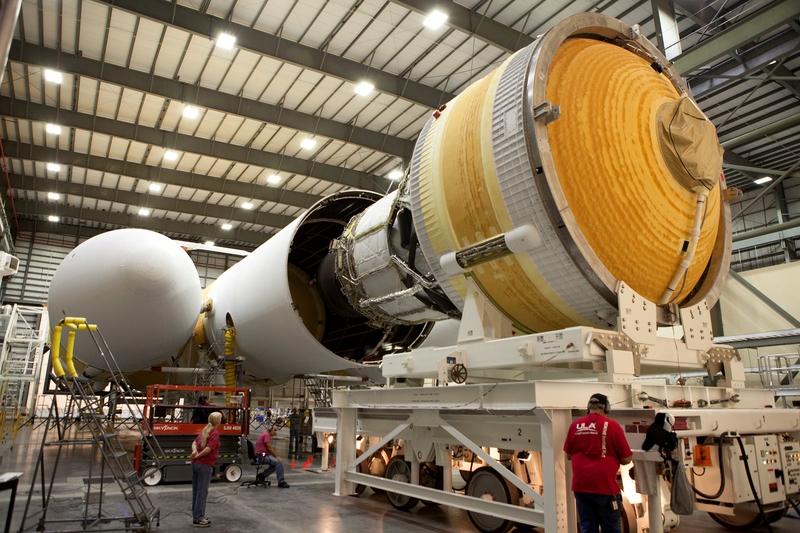 Once the vehicle achieves a safe altitude, the fairings are jettisoned and the spacecraft is then exposed to space. Fuel: Fuel: Liquid hydrogen (LH2). 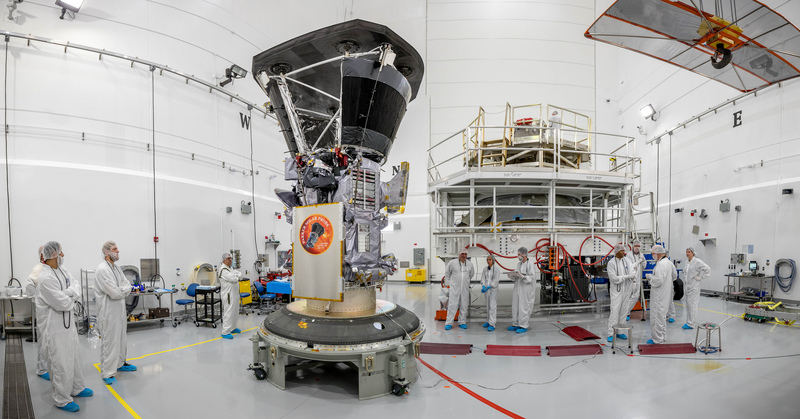 LH2 provides a higher specific impulse than rocket propellant 1 (RP-1) or as it’s sometimes called highly refined kerosene, but it’s more expensive, not stable at room temperature (must be kept cold), more explosive, less dense and less powerful by volume. Oxidizer: Liquid Oxygen (LOX). LOX is often coupled with rocket propellant-1 (RP-1), liquid hydrogen (LH2) and methane (CH4) as it creates a high specific impulse. Fuel: Liquid hydrogen (LH2). 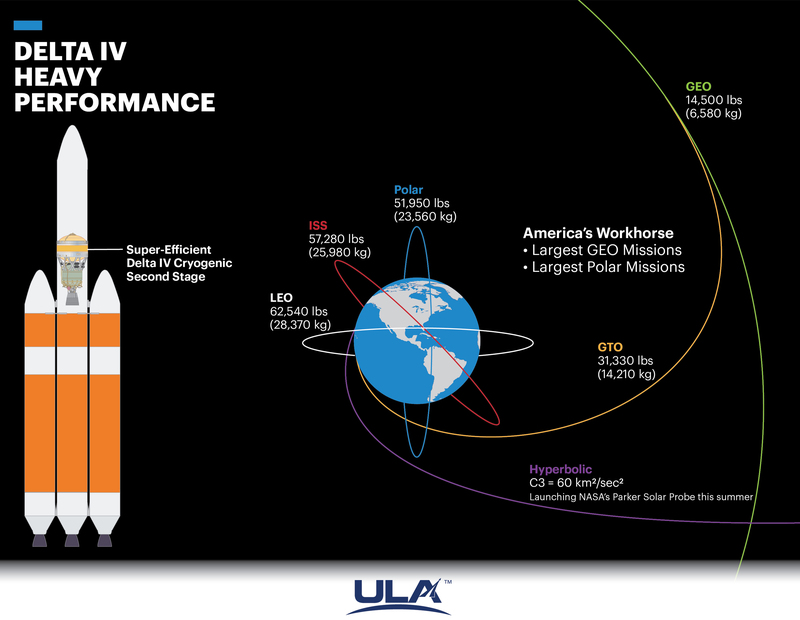 LH2 provides a higher specific impulse than rocket propellant 1 (RP-1) or as it’s sometimes called highly refined kerosene, but it’s more expensive, not stable at room temperature (must be kept cold), more explosive, less dense and less powerful by volume. Image | This entry was posted in Images, Launches, News, Solar System, Spaceflight Companies & Vehicles and tagged Cape Canaveral, D4H, DanSpace77, Delta 4 Heavy, Delta IV Heavy, Eugene Parker, Kennedy Space Center, NASA, Parker Solar Probe, PSP, Tory Bruno, ULA, United Launch Alliance. Bookmark the permalink.